Since the rise of Brian Michael Bendis at Marvel, Luke Cage has enjoyed unforeseen levels of visibility, having joined and briefly led the Avengers and played a lynchpin role in the Marvel Universe at large. This Wednesday, the hero formerly known as Power Man doubles his workload and adds boss of the Thunderbolts to his resume. What better time than now to go back and see how a kid named Carl Lucas went from running the streets in Harlem to the top of the Marvel Universe. 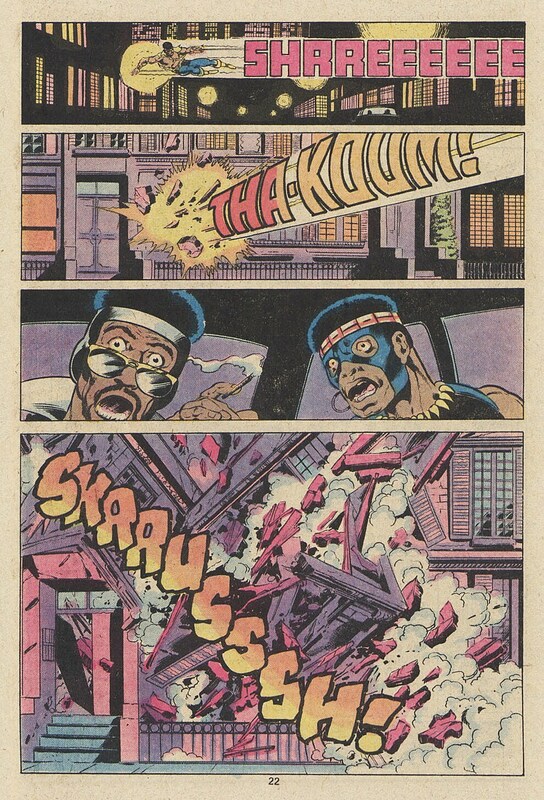 Way back in the '70s when blaxploitation was just getting big, someone at Marvel had a brainstorm. Why not get in on the ground floor of this blossoming fad? 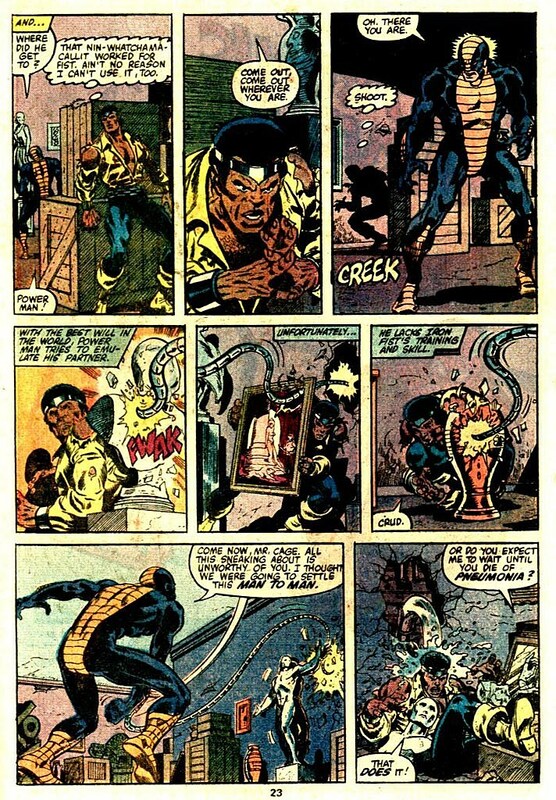 And so, Archie Goodwin, John Romita Sr., and George Tuska created a comic called "Luke Cage, Hero for Hire" and inadvertently made history. 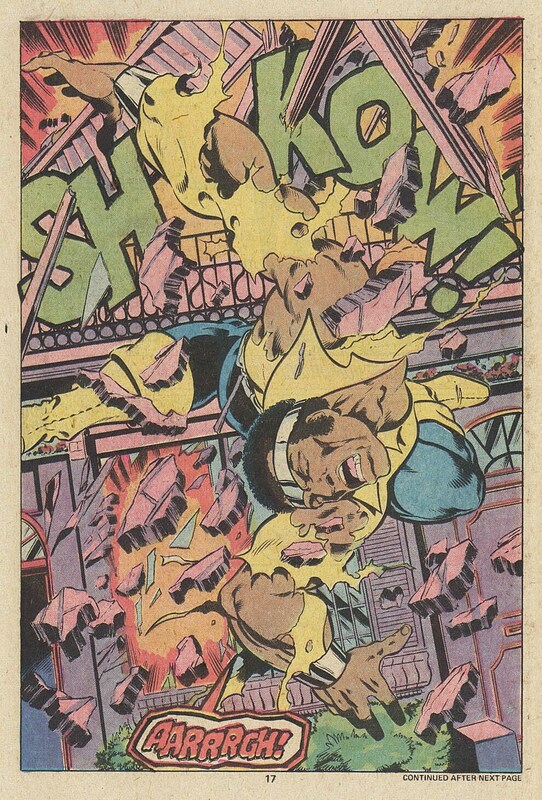 Cage was one of the first black characters to have his own ongoing title, beating DC's Black Lightning to the punch by around five years. Cage comes from what is perhaps the humblest of beginnings. Born Carl Lucas, the young Luke Cage ran with a gang called The Rivals in his hometown of Harlem. He retired from the gang as he gets older, preferring instead to find a more legal revenue stream, but that doesn't stop him from being framed for dealing drugs by a former friend. Lucas was convicted and shipped off to Seagate Prison, an island-based penitentiary off the coast of Georgia. There he met Bill Bob Rackham, a guard who enjoys nothing more than beating on his charges. When Rackham is demoted for excessive brutality, he blames Cage. Dr. Noah Burstein, a scientist working on a new Super-Soldier Serum, makes a deal with Cage. If Cage consents to going through an experiment, Dr. Burstein would attempt to get some time knocked off his sentence. Having nothing to lose, Cage agrees. During the experiment, however, Rackham shows up and messes with the controls in an attempt to kill Cage. Rather than killing him, the sabotage empowers him. His skin turns as hard as steel and his strength increases until it's off the charts. He digs his way out of the jail and makes his way back north to New York. His bulletproof skin immediately comes in handy, as he gets shot in the chest while stopping a crime shortly after arriving in the city. A grateful restaurant owner says that he "nailed him like a real super-hero," which gives Cage an idea. He's broke, starving, and needs to make a living. He hits a costume shop, changes his name, and goes into business as Luke Cage, Hero for Hire. 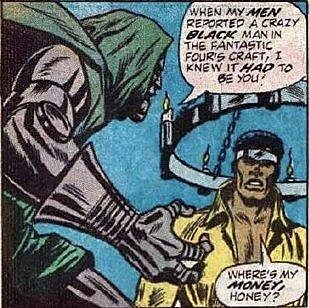 Cage is probably best known online for being the guy who flew to Latveria to get two hundred bucks from Dr. Doom after being stiffed on a deal, but he's much bigger, and much better, than that. 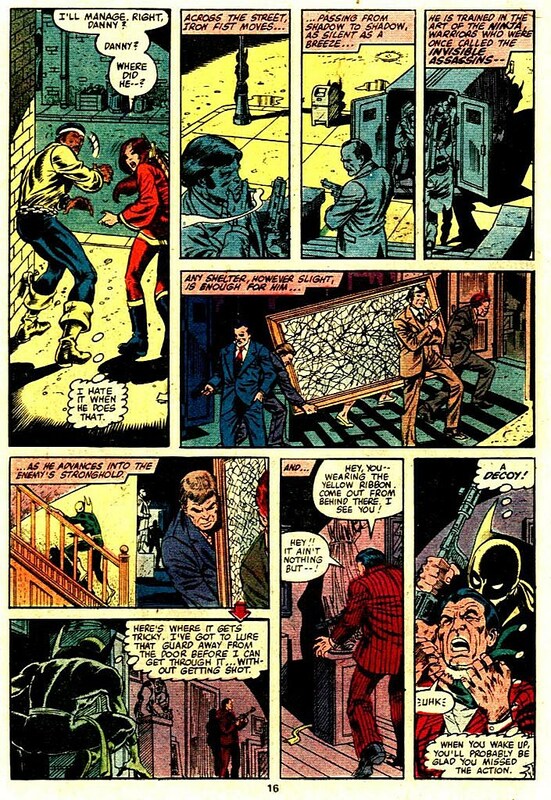 The first year or so of Cage's series hit the blaxploitation hammer pretty hard, but writers like Don MacGregor, Chris Claremont, and Jo Duffy, abetted by fantastic artists like John Byrne, Marie Severin, and Billy Graham, moved Cage away from his slightly corny blaxploitation roots and more into being a fully realized character. For a while, Luke Cage was best known for his long-time alliance with Danny Rand, Iron Fist. A more cynical mind would look at their teamup as Marvel attempting to wring the last bit of juice out of the blaxploitation and kung fu trends, but you can't really deny the results. 'Power Man & Iron Fist' was a classic Marvel comic, one that took the best of the two heroes and created a fascinating buddy comic that created a legacy that has lasted to this day. Their first meeting alone, reproduced in this article, came courtesy of Chris Claremont and John Byrne, and is easily my favorite collaboration between those two. Luke hovered around in comic book limbo for a couple decades after 'Power Man & Iron Fist' ended. He played the role of Generic Angry Black Guy in his own 20-issue solo series in the '90s and in a few guest appearances. In 1997, John Ostrander and Pascual Ferry relaunched 'Heroes for Hire,' but didn't quite manage to recapture the franchise's prior glories. Rather than focusing on the Cage and Iron fist duo, the book focused on a motley crew of superheroes trying to do good. Once Bendis began writing for Marvel, though, things began looking up. It began in "Alias." Cage was introduced as Jessica Jones's on-again, off-again love interest, before they finally made their relationship official at the end of the series. In "Secret War," Bendis included Cage on a team that Nick Fury hand-picked to invade Latveria. In "The Pulse" and "Daredevil," Luke was a recurring character, dispensing advice and getting a big win in on Norman Osborn. Finally, when putting together his New Avengers in 2005, Bendis gave Cage a spot on the squad. This is where Cage's time spent in limbo paid off. The string of guest appearances gave Cage a large store of friends around the Marvel Universe and a good rep as a moral and upright man. When the time came to pick Avengers, Cage was in the right place at the right time, and with enough of a resume to impress Captain America. Cage's strong moral center came in handy when it came to actual avenging, too. He brought new ideas to the team, including "impact superhero work." When not fighting Kang or saving the world, the Avengers began doing work in the inner city and helping out the little guy. When the Marvel Universe went south with the Civil War, Cage sided with Captain America. After Cap's "death" and while the team was on the run, Cage became leader of the Avengers. Now that Captain America is back and Marvel is in the middle of a new Heroic Age, heroes are needed more than ever. After being turned into Norman Osborn's personal hit squad, the Thunderbolts program was left disgraced. Now that Steve Rogers is in charge of superhero affairs, the Thunderbolts are a part of The Raft, someone leads to lead the villains onto the right side of the law. 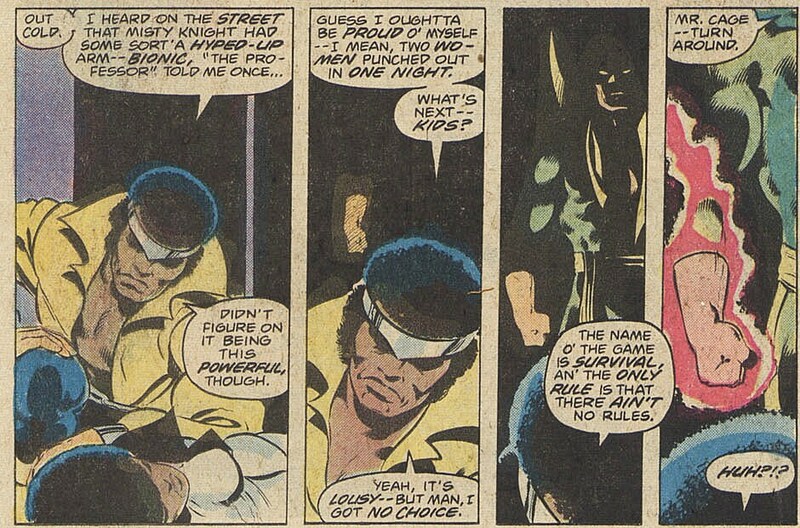 And who better to do that than Luke Cage, the man who has spent time on both sides? Almost forty years after his creation, Cage has managed to become a rising star. Respected by Marvel's greatest hero, led the foremost super-hero team, and now he's in charge of whipping villains into heroes in Jeff Parker and Kev Walker's 'Thunderbolts.' Not a bad run for a guy who started out as a Harlem gangbanger and blaxploitation cash grab, is it?